Made up of 40 lush tropical islands and cays in the Atlantic Ocean, the Turks and Caicos are the perfect destination for a beach getaway. Visitors can kick back and relax by the sparkling turquoise waters or take a leisurely stroll down the endless stretches of white sand beach sprinkled across the islands. Providenciales is the most populated island in the Turks and Caicos and was ranked one of the best beach destinations in the world by TripAdvisor, in addition to featuring a wide selection of shopping, restaurants and water sports. Grand Turk Island is also a popular destination with its rich colonial history (pirates galore!) and a newly-built cruise ship dock. Water babies will have a blast trying out the wide array of watersports available such as snorkeling, kayaking and fly boarding; and adventurers can head out to explore the surrounding ‘desert’ islands on a catamaran or speed boat tour. The islands are a famous scuba diving spot featuring colourful coral reefs, fascinating underwater walls and abandoned shipwrecks where divers can swim alongside schools of angelfish, reef sharks and even humpback whales. Whether visitors are looking for a relaxing beach getaway or an adventurous vacation, the Turks and Caicos have something to offer for every traveler. Language notes: The official language of the Turks and Caicos is English. What to pack: Don’t know what to bring? Don’t worry. 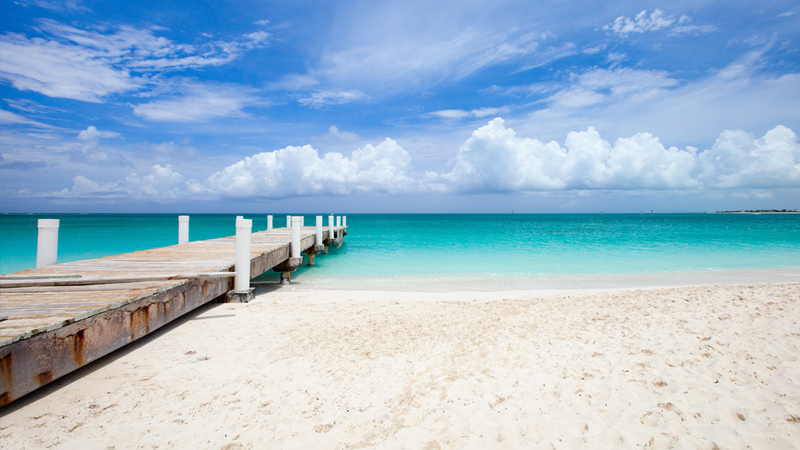 Click here for a full checklist to print and refer to when packing for your all-inclusive vacation in the Turks and Caicos. What to buy: Don't forget to bring home some of the most popular souvenirs in the Turks and Caicos including handmade jewelry, rum and cigars.